A Lifestyle of Peace: Philosophy, Jesus Christ & Apologetics: More Pain, Darkness, and Self Hatred. These are the times that try men's souls. With such a preponderance of information I can hear about all the bad news from virtually the entire planet instantly. Isn't that convenient? I can read about corruption for hours and still not get to the bottom of that mossy black pit. Yet here we are, and I try so hard not to be unnecessarily morose. God is my strength and I'm progressively convinced that I'm my own worst enemy. That's always been the problem, me and my mistakes. Me and my bad reactions. Me and my crazy emotions. It's never been easy. And it's not so fun. But Jesus Christ is my hero, my righteous king. He is everything I've wanted to be and couldn't be, all the things I've wanted to want, but couldn't want, he is all those things, he is my highest ideal, he is the grand champion of all things righteous, good and true. He gives me that victory in a very real way, so why do I feel like such a loser? I'm halfway through a Theology course at Liberty University and we're beginning to deal with Eschatology, the study of end times. Are we in the final end times? Will Jesus be literally back tomorrow? Will he rapture me? Will I get any crowns? Will I weap for my lack of faith? I've always assumed that every verse in Holy scripture that discusses backsliding and failure pertained specifically to me. Gall darn it, why is that? I figure if I'm anyone is going to slide through the cracks, not make the cut, make an attempt for the narrow passage and just miss the mark, it's going to be me, Justin Steckbauer. I'm one of those guys, you know. If there's an unforgivable sin that's the one I'd slip into, dang it. My only hope is that God has picked a "peculiar people" he called it. I'm peculiar as they come, so there's some hope. I'm such an incredible idiot loser nobody, how could Jesus Christ possibly allow me in his beautiful pristine sinless gate of awesomeness? If that news is for me, and I do believe it is, then that is very good news indeed. Because man I'm just different, depressed, and crazy upset. My emotions get all hot and I make bad decisions. I'm one of those sinners the Bible talks about, just fundamentally sinful and not good enough. That's how I feel a lot of the time. And just abused, and beat up on and crapped on by people around me, and myself of course. It's so very painful. I have a sense of abuse going on around me. Why I ask myself, do they all want to hurt me? How can they do such things? But really I'm not seeing clearly. It's not till nights when I sit alone, in red shorts below the heights of the heavens and speak my heart, that anything, anything at all starts to make sense again. Society is wild for a nervous, fearful twerp like me. And it all scares me tons. And I'm a coward. Pure and simple, a nobody, a loser, a freak, an outcast, no one of importance, fundamentally nothing, nobody, useless trash. That's how I feel a lot of the time. Like I'm lower than pond scum. If Jesus came to save the lost, and I do believe he did, then he came to save me from myself and from the world, out of the world, by an incredible grace that is so real it's shocking. I'm the lost, found. He's coaxing me out of the wilderness, out of the darkness one step at a time. Most days when I wake up I feel down, and I wish I wasn't here. I wish I could hide in bed all day. I wish I could disappear for months and not say a word, just vanish into nowhere, and maybe never return. I wish I could quit my job at the Salvation Army so much. So much, so much. Whether it's my coworkers or the residents or my bosses bosses, I want out in the worst way. But I'll go on another day, if I can, God willing that is. But I don't want to. I really honestly don't want to. In the worst way, I just wish it was over. I wish for rest, and I am greatly weary, to the point of death. Lord, please help me. Please end this terrible existence and bring me home to you. Amen. And when can I have a moment of peace? What madness looms in my mind Lord? How, oh my soul, can you be despairing? Don't you know the Lord is your rock? 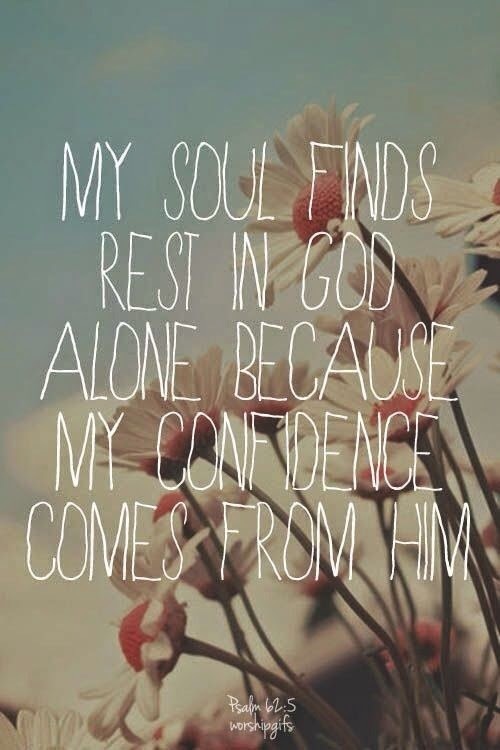 He can never let you down! How then would he leave you today? How can I Lord? How can I live under such pressure, such pain? Who could stand with what I have, the feelings I've got, against such foolishness? Who could return from such a place? Who could answer the riddle of the pain in my head? Only the Lord God of hosts could answer! But you are silent Lord? Won't you calm the storm of my emotions? Won't you deliver me from these maddening thoughts? For his mighty hand to move, for him to make all things right. Death approaches, but through death comes life. Give him time, he's got this one. stop thinking about the end, find a way to keep moving forward.